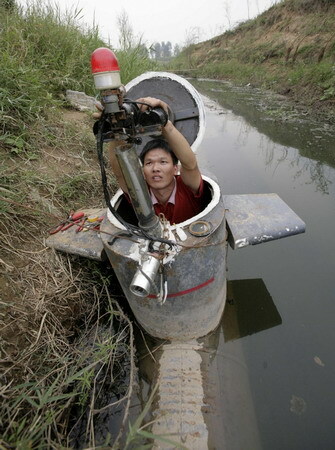 DIY Homemade Submarine made from Metal Barrels! Remember they Chinese guy who made the helicopter? 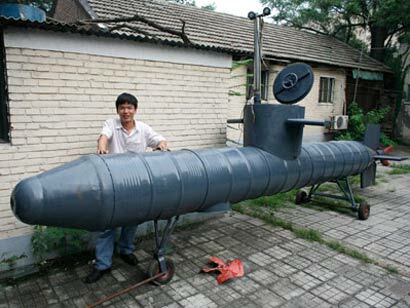 Well, here’s another Chinese guy who made a freakin’ submarine out of old metal barrels. Talk about eco-friendly, this submarine probably is the most green submarine ever made. I am gonna go make mine too now and start a new business. Tao Xiangli made the 1.6 tonnes submarine mostly from metal barrels and improvised parts by hand, reports Zhong’an Online. “Metal barrels are possibly the best material for me because of their low cost,” said Tao, a migrant worker in Beijing. The 20ft submarine is cramped inside with room for only one person but it features pressure metres, monitoring cameras, a TV set, oxygen supply and headlights. 3 Responses to DIY Homemade Submarine made from Metal Barrels! Pingback: Personal Submarines? | zedomax.com - Obsessively profiling DIYs, HOW-TO,Hacks, Gadgets, Tech, Web2.0,and beyond. 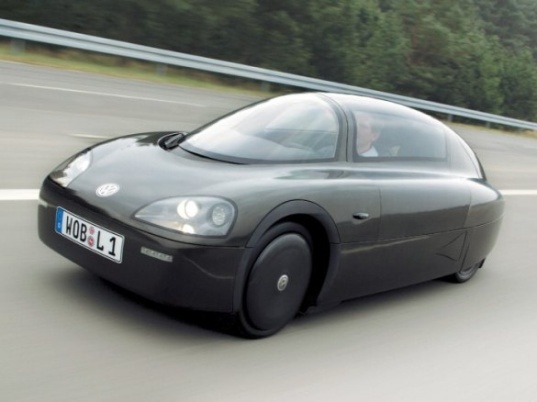 Pingback: DIY Chinese Solar-powered Car gets 90+ Miles on a 30-hour Charge! | zedomax.com - The DIY, HOWTO, Hacks, Gadgets, and Tech Blog! Check out more interesting categories: Consumer, Design, DIY, Earth, Eco-friendly, Educational, Entertainment, Gadgets, Misc, Projects, Submarine, Travel, World records. 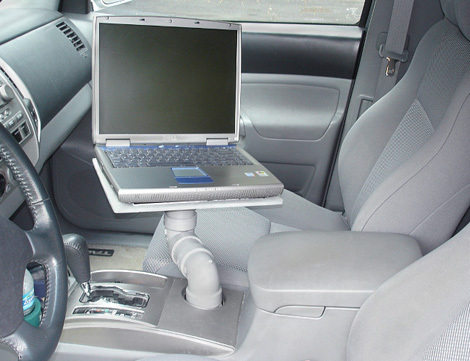 Laptop DIY – How To Make a Car Laptop Stand! 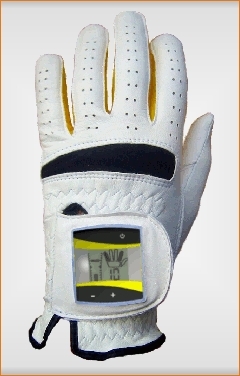 SensoGlove may Help you become a Scratch Golfer! 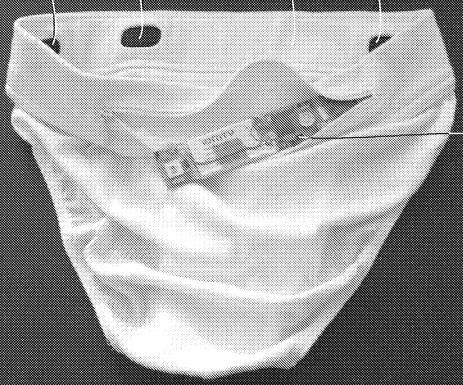 Underwear that senses Blood Pressure! Volkswagon 235MPG Car available in 2010! 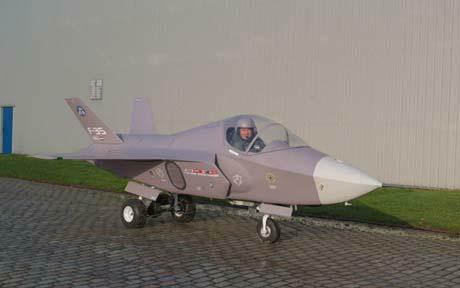 DIY Replica Fighter Jet goes 5MPH! ROV Hack – How to Make a DIY ROV Submarine!